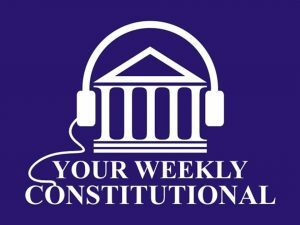 Your Weekly Constitutional is a public radio show and podcast that focuses upon interesting and controversial issues in constitutional law, from gay rights to gun rights. Produced in partnership with James Madison’s Montpelier, it features interviews with knowledgeable lawyers, scholars, and others about current and historical topics, including church-state relations, states’ rights, and even the constitutionality of secession. 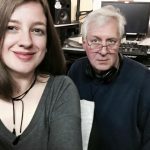 Our most popular feature is our Constitutional Quiz, in which we test the knowledge of some of our braver listeners. Would you like to be a contestant? C’mon, it’s fun! Please email us at [email protected] All contestants receive a pocket Constitution from James Madison’s Montpelier, and winners receive a YWC T-shirt. Your Weekly Constitutional is produced by WETS-FM in Johnson City, Tennessee, in cooperation with the home of the Constitution, James Madison’s Montpelier.